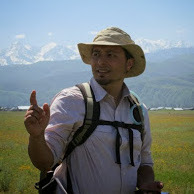 Open source digital data collection for field sciences. Presentation given at SCaLE16x in Pasadena, California. Open source digital data collection for field sciences. was published on March 10, 2018 and last modified on March 10, 2018 .